Most organizations believe that a disaster will never happen at their workplace. Statistics show that just keeping your fingers crossed wont work anymore. With Physical Security often overlooked, it has emerged a serious threat to business operations and needs a carefully thought through and implemented strategy. Can your information walk out of the door? Physical security is often a second thought when it comes to information security. The challenges of implementing physical security are much more problematic now than in previous times. Laptops, USB drives, tablets, flash drives and smartphones are all capable of storing mission critical, sensitive data that can be lost or stolen. Hacking into network systems is not the only way that sensitive information can be stolen or used against an organization. Physical security solutions must be implemented correctly to prevent attackers from gaining physical access and taking what they want. All the firewalls, cryptography and other security measures that you put in place would be ineffective if that were to occur. The stadium was renovating its entire infrastructure in preparation for its upcoming international events. To meet the pre-requisites of hosting the events, they required international standard intelligent surveillance systems as security measures. Will data theft cause a serious compliance issue? Physical Security threats can be both external and internal. If you are an organization that deals with sensitive data and information, ensuring the security of that data is not only good business practice, but also the key to avoid crippling law suits from loss of data. Compliance begins with keeping your assets safe and a robust and scalable Physical Security Solutions from Embee could go a long way in protecting your most valuable assets through Electronic Security & Surveillance Solutions which include Intrusion Detection, Access Control, and CCTV Surveillance combined with sound recording capabilities. From the beginning, our working relationship with Embee Software has been frictionless. The team is extremely competent, professional and quick to respond. I really appreciate their can-do attitude and willingness to work and are happy to select them as our technology partner. Embee provides a customised solution with a unique mix of different OEM products based on the specific requirements of the clients. 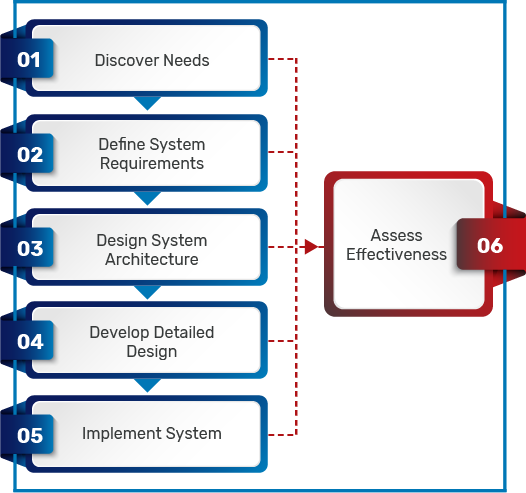 Solutions from Embee follow a robust practice of “understand-evaluate-test-implement-transform” to deliver a defined return on investment. Interested?